Like an exquisite sandcastle formed in a harsh desert landscape, Mali is blessed by an extraordinary amount of beauty, wonders, talents and knowledge. 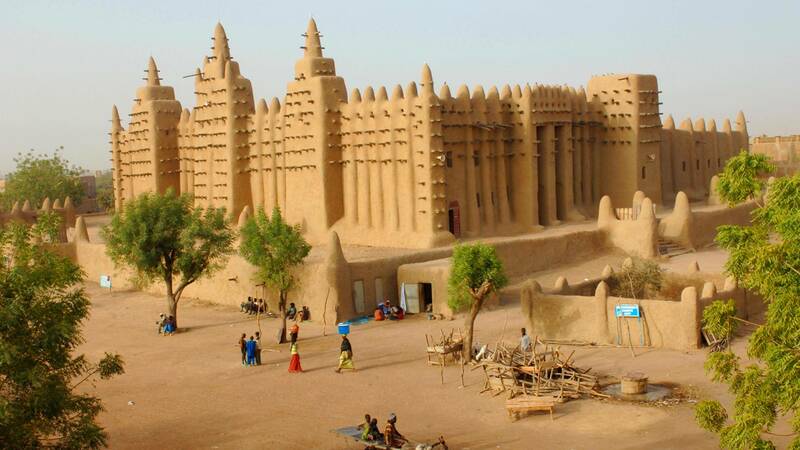 Yet for now, its landscapes, monuments and stories are off limits, sealed from tourists by a conflict that is threatening the very culture of Mali. The heart of the nation is Bamako, where Ngoni and Kora musicians play to dancing crowds from all ethnicities, while in the Dogon country villages still cling to the cliffs as they did in ancient times. Further west, Fula women strap silver jewellery to their ears and their belongings to donkeys, forming caravans worthy of beauty pageants as they march across the hamada (dry, dusty scrubalnd). There is no Embassy or Consulate general in Bangladesh. Bangladeshi citizens require to apply in Embassy of Mali in India who works as authorized representative to provide visa. A valid passport for six months with two blank pages in the end. Two visa applications filled up with valid information and signature of the applicant. A forwarding letter from the company. Bank statement for last six months. Embassy may call applicant for interview after submission of the application. All the documents should be submitted in two copies; One original and one photocopies. Total approximate time is 12 working days (5 working days at Embassy + 7 working days for Passport transit). A forwarding letter from the previous company. An invitation letter from Mali authorized company. Embassy may call the applicant for an interview after submission of the application. All the documents should be submitted in two copies; One original and one photocopy.